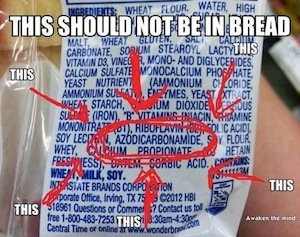 The recent revelation that Subway bread contains azodicarbonamide has gotten a lot of attention. And it should, azodicarbonamide is an industrial chemical used to make yoga mats, shoe rubber, and synthetic leather. Although there's no reason for it to be in bread, it has, in fact, been used for decades as a dough conditioner. However, the public backlash was so great that Subway has stated it will cease to use azodicarbonamide... although they stopped short of providing concrete deadlines as to when, so be aware. But still, what is azodicarbonamide? And what are the health risks associated with exposure and consumption? Because it's used to make foamy yoga mats, rest assured it isn't safe to consume, and the next 9 facts will explain why. The primary function of azodicarbonamide is centered on the way it breaks down during processing – it creates tiny bubbles that make things "foamy." Somewhere in the testing procedures, scientists discovered it whitened flour and acted as an oxidizing agent. Bakers, or rather "food scientists" soon concluded that it should be a standard inclusion in bread. 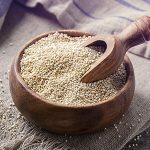 Gluten has been linked to a host of gastro-intestinal, immunologic and neurologic diseases. 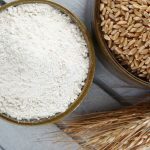 If you take it a step further, gluten is irritating to gluten intolerant bodies because it contains two proteins, glutenin and gliadin, which those body's struggle to process. When bread dough is treated with azodicarbonamide, it can break down the gluten and make glutenin and gliadin more immediately available. The other half of the gruesome twosome is no better. The National Institute of Health’s Hazardous Substances Data Bank states that ethyl carbamate is a carcinogen to animals; in fact this is backed by over 200 studies. Research from 17 years ago confirmed that adding azodicarbonamide to bread increased ethyl carbamate levels. The awful truth is that industry has known for nearly two decades that this is toxic trash and fed it to us anyway. Exposure to semicarbazide can present another health risk. Animal studies have found it has a toxic impact on hormone function and the hormone-regulating organs, including the thyroid, thymus, spleen, testes, ovaries, and uterus. As is the case with all endocrine disrupting compounds, this stuff is poison! While US Officials continue to claim the amount of azodicarbonamide found in most baked products poses no serious health threat, European and Australian officials have banned its use in bread. Baby food jars were another source of exposure and officials were left without answers concerning the "safe levels" for infants. Consequently, European officials disallowed its use in sealing glass jars. An NBC news piece released shortly after Subway’s bread revelation identified several other restaurants whose food contain azodicarbonamide. These include McDonald’s, Burger King, Wendy’s, Arby’s, Jack in the Box, and Chick-fil-A. 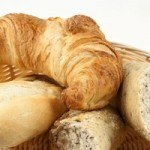 Although not all bread from these restaurants may contain azodicarbonamide, is it worth the risk? Bottom line – if you want to avoid it, get in contact with the corporate big wigs who control restaurants from afar and verify they've made a pledge not to use any azodicarbonamide. "Health officials" may claim this trash is safe in low doses, but who’s monitoring exposure? And let’s face, at any level a toxin is a toxin. If it doesn’t contribute to health, it’s taking away from it. 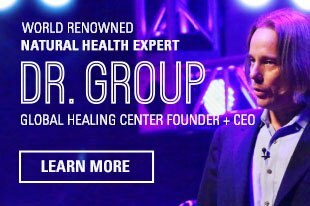 As I’ve said for years, disease happens when toxic buildup in the body becomes too great. 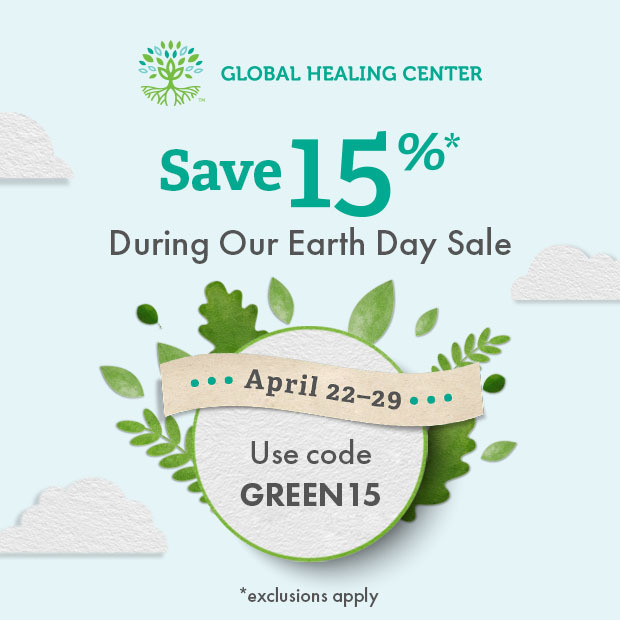 The best approach for encouraging good health continues to be eating a diet of natural, organic foods from trusted sources and regularly detoxifying your body. 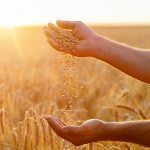 Pietzak M. Celiac disease, wheat allergy, and gluten sensitivity: when gluten free is not a fad. JPEN J Parenter Enteral Nutr. 2012 Jan;36(1 Suppl):68S-75S. doi: 10.1177/0148607111426276. Hernandez-Lahoz C, Mauri-Capdevila G, Vega-Villar J, Rodrigo L. [Neurological disorders associated with gluten sensitivity]. [Article in Spanish] Rev Neurol. 2011 Sep 1;53(5):287-300. Kim CW, Cho JH, Leem JH, Ryu JS, Lee HL, Hong YC. Occupational asthma due to azodicarbonamide. Yonsei Med J. 2004 Apr 30;45(2):325-9. Tassignon J, Vandevelde M, Goldman M. Azodicarbonamide as a new T cell immunosuppressant: synergy with cyclosporin A. Clin Immunol. 2001 Jul;100(1):24-30. Hirakawa K, Midorikawa K, Oikawa S, Kawanishi S. Carcinogenic semicarbazide induces sequence-specific DNA damage through the generation of reactive oxygen species and the derived organic radicals. Mutat Res. 2003 Apr 20;536(1-2):91-101. Vlastos D, Moshou H, Epeoglou K. Evaluation of genotoxic effects of semicarbazide on cultured human lymphocytes and rat bone marrow. Food Chem Toxicol. 2010 Jan;48(1):209-14. doi: 10.1016/j.fct.2009.10.002. Epub 2009 Oct 9. Maranghi F, Tassinari R, Lagatta V, Moracci G, Macrì C, Eusepi A, Di Virgilio A, Scattoni ML, Calamandrei G. Effects of the food contaminant semicarbazide following oral administration in juvenile Sprague-Dawley rats. Food Chem Toxicol. 2009 Feb;47(2):472-9. doi: 10.1016/j.fct.2008.12.003. Epub 2008 Dec 10. Maranghi F, Tassinari R, Marcoccia D, Altieri I, Catone T, De Angelis G, Testai E, Mastrangelo S, Evandri MG, Bolle P, Lorenzetti S. The food contaminant semicarbazide acts as an endocrine disrupter: Evidence from an integrated in vivo/in vitro approach. Chem Biol Interact. 2010 Jan 5;183(1):40-8. doi: 10.1016/j.cbi.2009.09.016. Dennis MJ, Massey RC, Ginn R, Parker I, Crews C, Zimmerli B, Zoller O, Rhyn P, Osborne B. The effect of azodicarbonamide concentrations on ethyl carbamate concentrations in bread and toast. Food Addit Contam. 1997 Jan;14(1):95-100.